Nissan has been building strong, dependable pickups longer than many customers today have been driving them. Its popularity remains the same in Fiji as it was decades ago. And at every turn, Nissan has ridden the edge of innovation to deliver what you want. A tested and proven fully boxed frame, a world class engine, and Go-anywhere 4×4 command. Now it’s time to experience the excitement of the next generation of trucks. It’s ok to judge a pickup by its core. And with a full-length, fully box ladder frame, the NP300 has proven to be one of the toughest pickups on the road. Exceptional angle of approach allows it to handle roads with a lateral tilt up to 32.2 degrees, with all components tucked up under the frame for increased ground clearance. And on or off-road, you’ll experience a smooth and comfortable ride from the steel double-wishbone front suspension and an underslung rigid leaf-spring rear suspension. In the NP300 you’re equipped to keep right on going, no matter the conditions. At your command is a shift-on-the-fly 4WD system that switches between 2WD and 4WD with the twist of a dial at speeds of up to 100km/h. Tackling hilly terrain is made easier with the Hill Start Assist and Hill Descent Control feature. In the NP300 you will find unexpected comfort and space from every seat. Up front, astronaut-inspired zero-gravity seats create neutral posture and improved blood flow to help make those long rides a lot more comfortable. The Nissan Safety Shield is a comprehensive approach to safety that guides the engineering and development of every vehicle we make. The features described here are just some of many on your NP300, helping to protect you and yours by focusing on three key areas. This is by keeping an eye on your vehicle’s system and the surroundings, assisting in handling unexpected situations, and helping to keep you safe in the unfortunate event of an accident. Nissan’s Zone Body Concept helps absorb the impact and protect the passenger compartment during a collision. It features a high-intensity cabin structure with cross-members and reinforcements, front and rear crumple zones, and an energy-absorbing steering column. 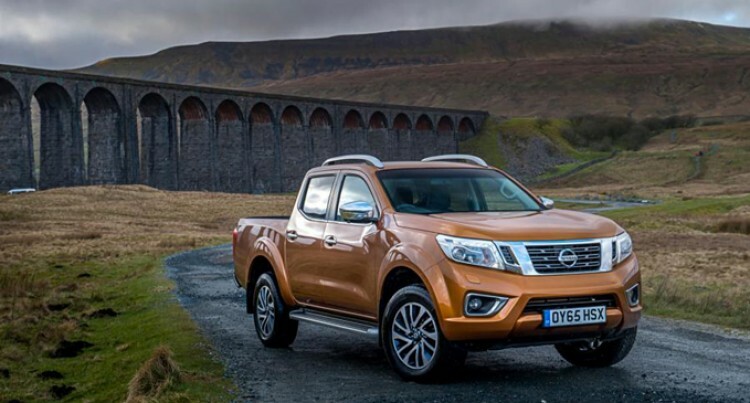 The Navara also features an in-built reverse camera for added safety and convenience. The Vehicle Dynamic Control monitors your steering and braking and, if needed, will reduce engine output and apply brake pressure to specific wheels in order to keep you on your intended path. The Traction Control System helps you keep a better grip on the road. It senses when a drive wheel starts to slip and reduced engine power or applies brake pressure to restore traction. In addition the NP300 also features the Anti-lock Braking System and the Electronic Brake Force Distribution.